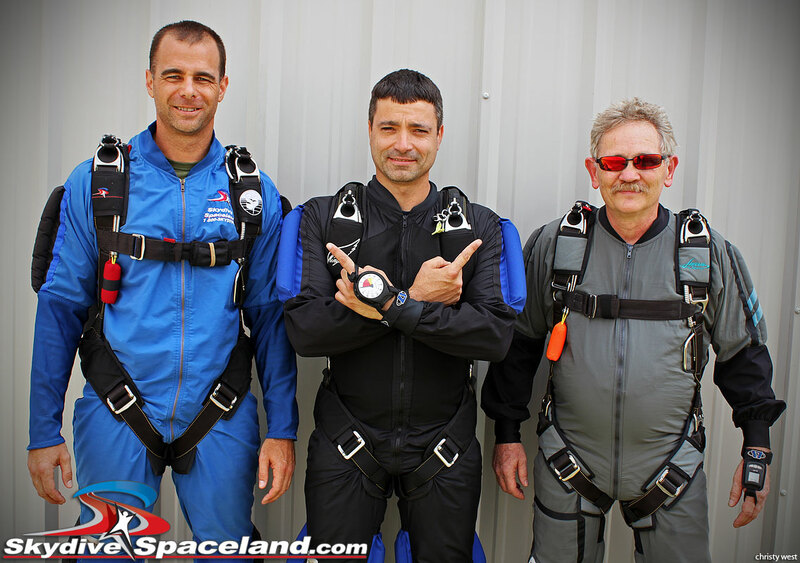 On August 3, 2014, Skydive Spaceland added friendly competition to its Transitions program for recent graduates of any skydiving program. Skydivers with A licenses up to around 100 jumps enjoy free coaching from two available USPA Coaches/experienced jumpers every weekend. Also, during the first weekend of every month there is an event with additional mentors focused on a particular skill such as dive and dock, turns, and linked exits. August’s Transitions event was a 3-round, 3-way Speed Star event in which each mentor formed a team with two jumpers who each had under 100 jumps. The event followed a modified version of classic 10-way rules, with all jumpers leaving from behind the so-called “suicide line” from the leading edge of the Otter door to the opposite bulkhead corner. Each mentor provided point-of-view video for judging purposes, which allowed the event to run at no additional cost to the competitors. Despite significant weather challenges on both weekend days that pushed the Saturday event to Sunday afternoon, five teams persevered and completed all three rounds in short order once jumping recommenced. It was the first skydiving competition for many of the mentors as well as the mentees. “I learned more in these 3 jumps than in the last 20,” said Cale Curry of third-place team 101 JumpStreet. 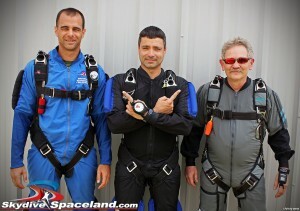 First place went to Double Ds, with recent graduates Dave Baxter and Doug Brooks jumping with mentor Steve Thompson. Dave and Doug received first prizes of 20% off a Sun Path Javelin harness and container system from the Skydive Spaceland Pro Shop. Double Ds scored a fast 14.64-second round 3 to get out of a near-tie with Bald Beaver Lovers; only 0.35 seconds separated the two teams after round 2. Double Ds scored 60.8 seconds across the three rounds, averaging 20.27 seconds per round. Bald Beaver Lovers scored a total of 76.4 seconds, and 101 JumpStreet came out of a tie for last after round 2 to leapfrog into third with round 3, scoring a total of 110.42 seconds.